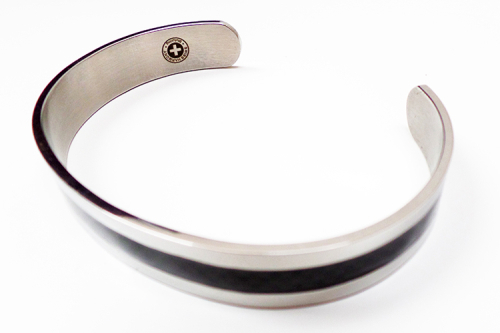 This modern bracelet is a good alternative to the BodyCard or the BioRing. Although, due to its size and material it is even more effective. The information that it contains is exactly the same as the BioRing or the BodyCard. 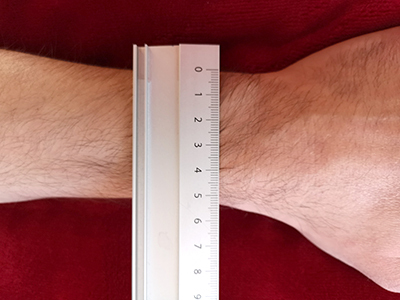 The BioBracelet was developed especially for children, as we have found that children like to loose or forget the BodyCard and they don’t like to wear rings. 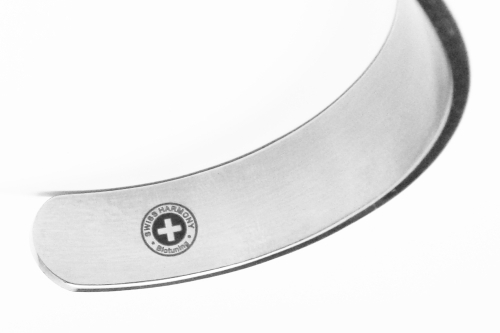 The Swiss Harmony BioBracelet helps effectively to neutralise the negative effect of electrosmog. It produces a harmonic field in your body in which inharmonic frequencies can not resonate. This lets your organism effectively ignore any influences that the electrosmog may have on it. The Bracelet consists of carbon fibre and is very rigid and strong. The BioBracelet is sleek and light. I can recommend it for anyone who wants protection from EMFs. I always wear it, don't ever want to take it off.